Fat Quarter Shop's Jolly Jabber: The Must-Have Tula Pink Ultimate Thread Collection - news & giveaway! The Must-Have Tula Pink Ultimate Thread Collection - news & giveaway! We're tickled pink - Tula Pink, that is! 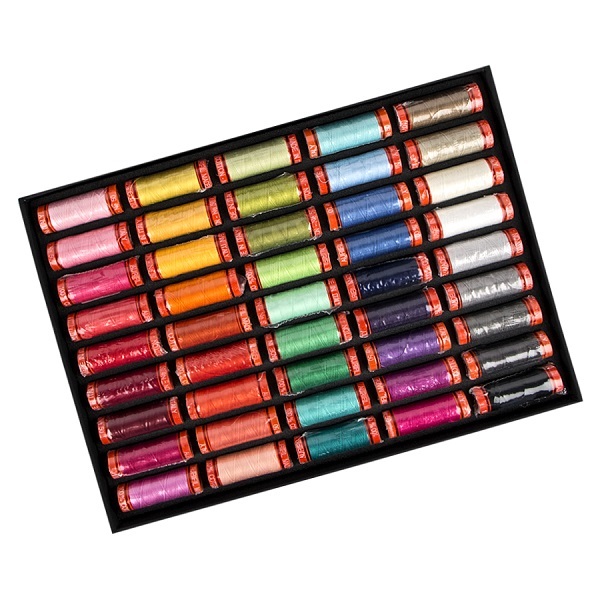 Tula, designer and quilter extraordinaire, has released a fabulous Ultimate Thread Collection Box with Aurifil and we've got it! This thread box nicely coordinates with Tula Pink's fabric collections, making it a must-have for Tula Pink fans. TAKE A PEEK AT THIS LUSCIOUS AURIFIL THREAD! Even better? We're giving one of these beauties away on our Fat Quarter Shop Facebook page, so link over and enter now! 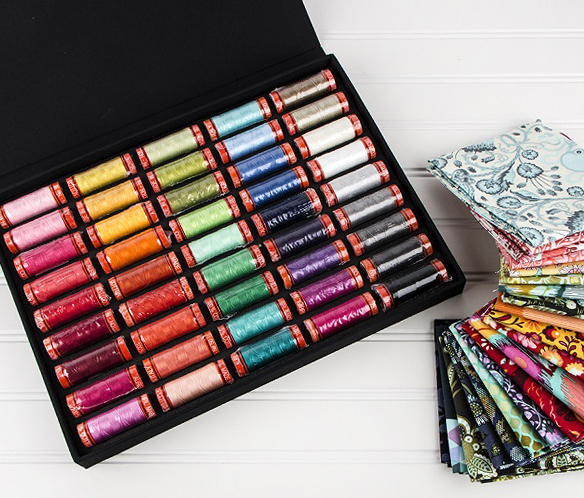 Whether you're a die-hard Tula Pink fan looking to match her fabric collections, or are a quilter who just loves to work with gorgeous colors, this is THE thread box to add to your collection - so treat yourself. Happy Quilting!